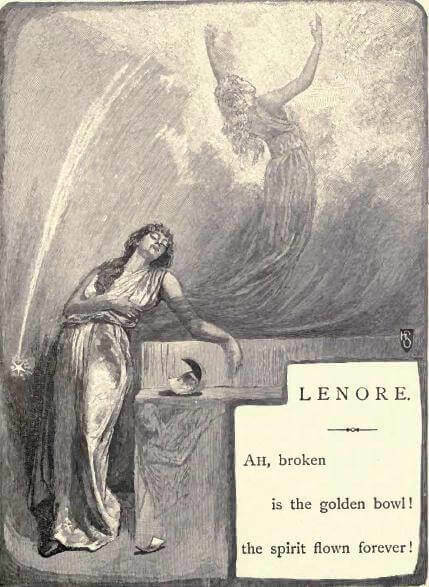 An earlier version of Lenore (1843) was originally published as A Paean in 1831. The character is central to Poe's most famous poem, The Raven (1845), inspired by Poe's deceased wife. "That did to death the innocence that died, and died so young?" Add Lenore to your own personal library.